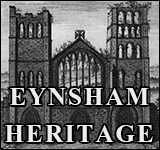 Housing for sale or rent in Eynsham comes in every shape and size: check with estate agents for a full picture. The village has many attractions for residents and newcomers - commuting, bringing up a family or retiring. Local facilities are enhanced by a wide range of shops, schools and social activities and a good bus service. 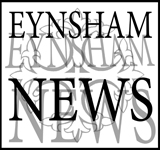 The street map, updated in 2014, is a splendid start for house-hunters and newcomers to Eynsham. 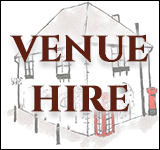 Another map (preview right, or below on mobiles) indicates approximate ages of housing in different areas; cafés, pubs and restaurants; and amenities ranging from the allotments to play areas. The A-Z of Services includes local Council Tax rates. MERTON COURT affordable housing consent was granted for a Rural Exception Site off Merton Close in 2009 and opened in 2011. Applicants for affordable renting or shared ownership on a scheme of this type must register on the District Council waiting list. 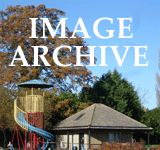 EAST EYNSHAM planning consent in 2009 was subject to a Section 106 agreement on contributions to village infrastructure. 'Hazeldene Close' opened in 2010, with a pedestrian route to the village centre via the Bitterell footpath. Four new homes and 3 barn conversions at 37 Acre End Street were approved in 2010 and marketed as Blankstones Farm. An application for 9 homes on the old Star Inn site was approved in 2010 and marketed as Star Close. An application for around 20 houses adjoining Fruitlands was rejected in 2015 and the appeal dismissed in 2016. Proposals for 10-12 dwellings on Spareacre Lane were approved in 2011. A barn conversion and 4 new dwellings at 17 Mill Street was approved in 2013 and marketed as Millers Cottages. The Grade II listed former vicarage next door, St Leonard’s House, has been converted to 7 flats with 6 dwellings in the grounds.